October 16th, 2014 | Moving Tips. Piano Whether you own an upright or a grand piano, you should hire a moving company to get your instrument in and out of the house. Pianos have an irregular shape and hundreds of working parts. To keep your piano functional and elegant, find a mover specialized in handling these circumstances. Pool Table Moving a pool table definitely isn’t fun and games. Depending on the model you own, your pool table could weigh between 500 to 1,000 pounds. As you search for a moving company, ask whether the movers will transport pool tables and what their process is for doing so. Many movers will disassemble your table first to prevent damage. Hot Tub You may have moved your hot tub around the backyard, but moving it to a new home is a different story. Ask your moving company what steps to take beforehand. You’ll likely need to drain the hot tub and remove the equipment pack. Then leave the rest to the professionals. Fragile Non-valuables We recommend keeping your most irreplaceable valuables with you. That includes jewelry, special collections, and family heirlooms. Even though movers use the utmost care, you don’t want to risk damaging those items. However, an expert, with years of experience, can better protect your mirrors, china, glassware, artwork, and other delicate items with special packaging. While you may want to oversee the handling of these precious items, leaving the packing and moving of them to the professionals is the safest way to go. Remember, above all else, that moving isn’t a job you have to undertake alone. Hire a professional mover. Enlist friends and special equipment. Whatever your plan, know you can ease the burden of heavy objects-and the stresses of moving-with a little help. Nice Blog Post. Good to read about moving tips. Deciding whether or not o Relocate is not only an important but one amongst the most difficult decisions to take in our lives. Even more challenging is going through the entire relocation process as it is a hectic, upsetting and time consuming task. It’s never a fun to move your entire household or office goods to a new location. 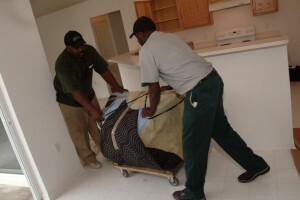 Go ahead and save time and even money by hiring a moving service. They can lift everything, move everything and take everything in one trip if you are moving locally. I moved from my apartment to my new home by myself and it was a bad decision. Through all of the trips, lifting heavy things and loading down my truck a day job turned into a 3 to 4 day job plus gas money, back pain and more.